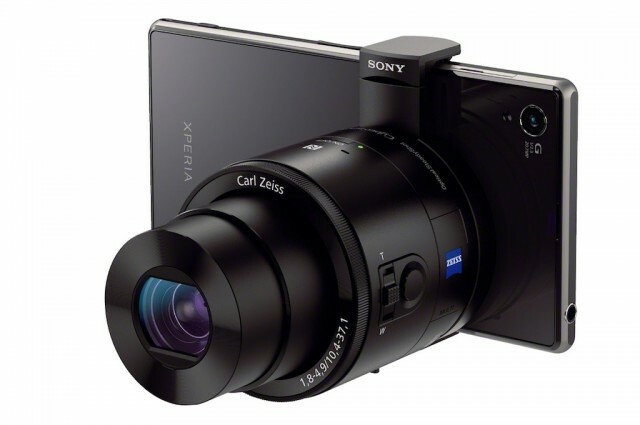 Sony has announced two new cameras that pretty much transform your smartphone into a Cybershot point-and-shoot. Called the QX10 and QX100, both lens-style cameras simply connect to your phone through Wi-Fi and NFC, and let you take impressive images even if your smartphone’s rear camera is terrible. While Sony hopes you use this with their devices, it can be used with other smartphones running Android or iOS – so Windows Phone users, you’re out of luck there. It uses the phone to act as a real-time viewfinder, and to start/stop recordings and fire the shutter. However, you don’t even need them to be directly attached to the phone. Since both are connected via Wi-Fi, you can simply put the lens somewhere else, and fire the shutter remotely. Both feature an Exmor R CMOS sensor; but the QX100 features a 20.2-megapixel lens with 3.6x optical zoom, while the QX10 has an 18.2-megapixel lens with 10x optical zoom. Both also include a microSD and Memory Stick Micro slot. Both are available for pre-order in Europe, before hitting general retail in the end of September. Australian availability, however, is unknown at this stage.